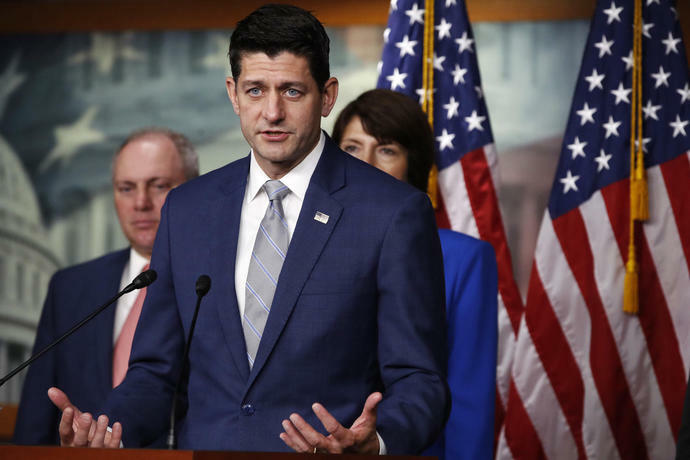 House Speaker Paul Ryan of Wis.
WASHINGTON (Reuters) - U.S. House Speaker Paul Ryan said on Thursday he had "no reason" to dispute Puerto Rico's official death toll of 3,000 from last year's Hurricane Maria, speaking after his fellow Republican President Donald Trump accused Democrats of inflating the death toll to make the president look bad. "Casualties don't make a person look bad," Ryan told reporters at a regular press conference, "so I have no reason to dispute these numbers." Ryan noted he had been in Puerto Rico after the hurricane hit and said it had been "devastating. This was a horrible storm."